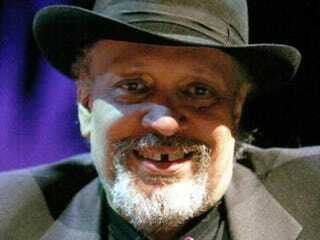 Walter Mosley burst into literary stardom in 1990 with Devil in a Blue Dress, the first of his Easy Rawlins mysteries. The Rawlins series captured a loyal audience — including an enthralled then-President Bill Clinton — with its late 1940s Los Angeles settings, casual police brutality, authentic language and vivid characters. Mosley, who grew up in Los Angeles, has gone on to write 33 books, ranging from science fiction to mystery to politics. Mosley, 59, talked to The Root over lunch at Soho House, the fashionable private club and boutique hotel in New York's West Village. The conversation started with The Last Days of Ptolemy Grey, his 2010 novel about a man, Ptolemy Grey, in his 90s and struggling with dementia. Grey falls in love with a young caregiver and seizes a chance, through an experimental drug, to have a brief period of clarity that will also hasten his death. Mosley's next novel, When the Thrill Is Gone, is due out in March. He is currently working on a collection of essays about politics. The Root: You spent the last few years taking care of your elderly mother. Did that inform your descriptions of all the people trying to take advantage of Ptolemy Grey's confusion? Walter Mosley: It wasn't like I thought one thing and found something else. It just reinforced some things: how people don't pay attention to the dignity of the elderly. Once you stop being able to take care of yourself, there's a certain disrespect that is shown. Almost everyone will do that: "Oh, you're not using this," and they take something. TR: Are you trying to make a case about the mistreatment of the elderly? WM: No, because that's another way of victimizing them. If you start talking about any group as oppressed people, their identity becomes the identity of victims; that's not very interesting. It's more about a story, an adventure about his survival, than it is calling attention to the plight of the elderly. It's more understanding — hopefully a deep understanding — of how his mind is working and who he is in this world. TR: Ptolemy's choice reminds me of a Faustian bargain. WM: Well, it is a Faustian bargain. This is about him making a choice. The doctor offers lucidity for a period of time, but he will die from the effects. He agrees and says, "I'll give you my body, but you can't have my soul." TR: It seems that your characters often have a sad and brutal past. WM: That's because I write about poor people and working-class people. And poor people and working-class people often have brutal pasts — but not necessarily sad. I'm not sure if they're sad. Socrates [Fortlow, an ex-convict who is a recurring character in some of his books] doesn't feel he was victimized. "I was a victimizer and I was being punished for it." TR: How do you deal with criticism? Some reviews of your work have been harsh. WM: I read some of it. I like bad reviews. I got a review once for The Wave (2006), and the reviewer said, "The characters are not even strong cardboard." Wow, I thought, how is that possible? Did something happen in one three-month or six-month period? Did I wake up and not be able to write? They must be wrong. They just don't like my book. Most writers write one kind of book, and they write it again and again and again — mystery writers, romance writers, even literary writers. I write all kinds of books. TR: The book-review process often seems to have a racial hierarchy. Important black authors get reviewed by important white authors; important white authors almost never get reviewed by black authors. WM: When you say "important writers" — the big venues for reviewing will tell you what important writers are: John Updike is an important author, Philip Roth is an important author. But there are tons of people you never heard of. Throughout history, the most important authors are almost always the most popular writers — Shakespeare, Dickens, Mark Twain, Homer. There is a certain kind of university-literary thing where they choose writers that are never going to be important beyond a certain moment in intellectual history. If I were running a review entity, I would never have a person from the same culture as the writer review that work. African-American writers would be reviewing Swedish writers. Japanese writers would be reviewing Scandinavian writers. TR: The world appears to be changing under the feet of the U.S. Many Americans feel a loss of control of what is happening in a country that's getting browner and less competitive. We don't manufacture much of anything anymore. WM: The most dominant culture of the Middle East was Assyrian; they didn't produce anything at all. They merely plundered, but everybody was afraid of them. I know the Tea Party — internally, there's a lament on the part of the white man, who's been displaced, among other things, by the white woman. A while ago, I was reading that China owns America because we owe them $8 trillion. The first question you have to ask, when somebody says, this person owns you because you owe them $100, [is] how much am I worth? How much is America worth? I know it's a lot more than $8 trillion. I'm sure it goes beyond the trillions when you start talking about natural resources, oceans, rivers, lakes and the wind. America is a very, very, very, very wealthy country. We have more natural resources than China, and China has three times our population. America still has a lot of potential. American still controls the imagination of the entire world. From hip-hop to blue jeans, from movie to books, it's America; that may one day change. TR: Are you optimistic about the role of African Americans in the future? WM: It depends on what you call success; if it means owning IBM or Bank of America, I don't have a lot of hope. I can say I'm proud to be a black man in America; I'm proud of what we've done. I find it very interesting that, hopefully, we've been so altruistic that we don't own what we've done. And the people that do own it, though they're wealthy, I'm not sure they're very happy. When you celebrate who you are, you don't use false definitions to say what success is. "He's successful. He has a billion dollars." If that's what you call success, no. We're not there. TR: What do you expect from President Obama? WM: He got elected president, so I don't care; he's a moderate. Obama is the manifestation [of] a very middle-of-the-road political president who is trying to make everyone happy. We shouldn't be in this war in Afghanistan. He should ask for a draft, but he won't; you start the draft, then [the war] is over. You can say he's different because he's black. From now on, you say to a black child he can be president and it's true. It changes everything — in the prisons, in the schools, everything. Joel Dreyfuss is managing editor of The Root.